Growing up just a block away from The Notorious B.I.G., watching him go from local corner boy to rap superstar, Skyzoo couldn’t help but dream big. The Brooklyn, NY native saw life in all of its heaven and hell splendor being from the infamous home of Jay-Z and “Do The Right Thing“. He started rapping at age nine, writing about what he witnessed on his daily routines as a child. Those years of observation and living have turned into first person narratives that have labeled Skyzoo as a “new legend” and have led to his albums being critically acclaimed by fans and critics alike. His storytelling has been commended by all walks of literary life, from hip hop royalty to university professors and everyone in between. The fan base Skyzoo has been able to acquire stretches from the street to the workplace, from the college hipsters to the women who shop in luxe boutiques, which have all lead to memorable placements: HBO’s hit Entourage, NBA2K11 and NBA2K12 (he’s the first and only artist to date to be included in the franchise’s game and soundtrack in back to back releases), Grand Theft Auto 4: Lost and the Damned, and ESPN’s KIA NBA Shoot Around have all used Sky’s music towards their markets, and the rapper also has a longstanding relationship as a musical rep for Brand Jordan. 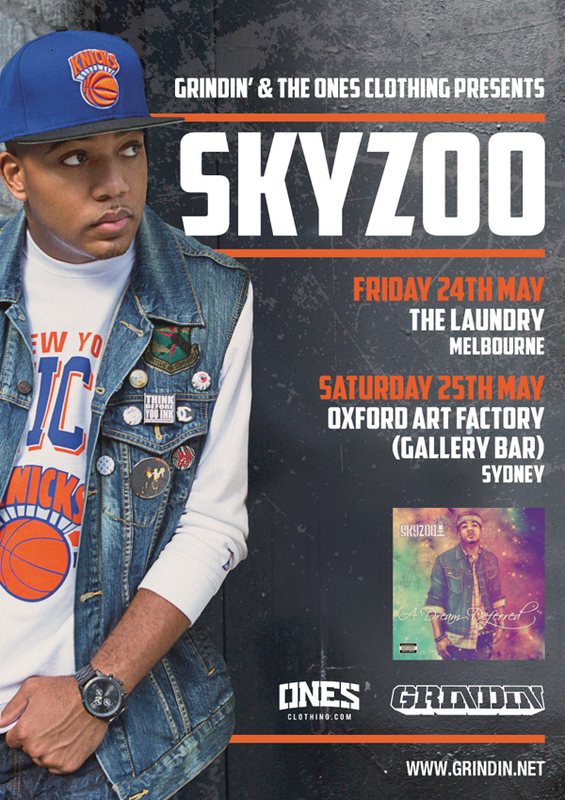 Skyzoo has toured with Ghostface Killah, Raekwon, Pharoahe Monch, Sean Price, and Buckshot, as well as headlined internationally in places like China, London, Paris, Berlin, Italy, Amsterdam, and more. He’s collaborated with the likes of Wale, Lloyd Banks, Pete Rock, Jahlil Beats, Hi-­-Tek, DJ Khalil, Buckwild, Jake One, Flo-­-Rida, Maino, Little Brother, EPMD, N.O.R.E, Talib Kweli, DJ Drama, Ace Hood, Sean Price, and Don Cannon, just to name a few. His highly anticipated sophomore album A Dream Deferred was released to critical acclaim last year, Skyzoo is focused on continuing to be the ultimate artist, one able to make classic music with a lasting impact.